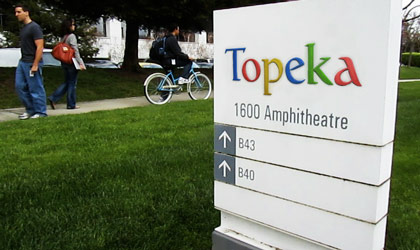 In it's infinite wisdom (and ultimate humor), Google has "officially" changed its name to TOPEKA! Yes, Topeka, as in Kansas! In what is being seen as another in Google's LONG history of FANSTASTICAL (sic) and elaborate April Fool's Day jokes, Google is dedicating this name change to the city of Topeka, due to it's unofficial name change last month to Google, Kansas! Topeka is vying for a spot on the list of cities that may receive 100GB Fiber connections to the internet, sponsored by the Google, uh, I mean Topeka, or ... WHATEVER! 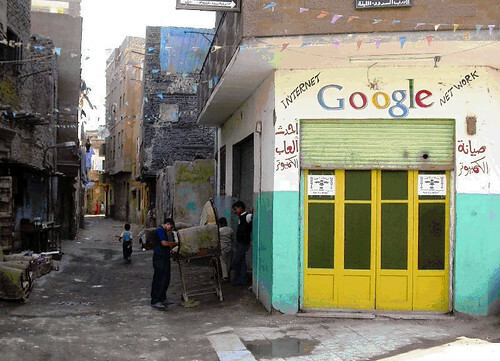 Enjoy your April Fool's Day 2010, it appears that Google is! Or Topeka... OR... I'm confused! SMH!